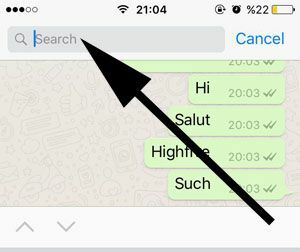 There are various ways to search a content on WhatsApp messenger application, we are going to tell you how to find a content on a WhatsApp conversation for iPhone devices in this page. 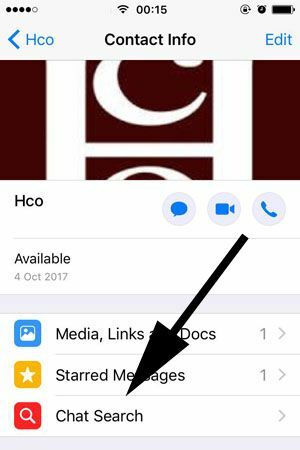 We have already told how to find a message on WhatsApp Groups in the past, you can check that page to find out messages on groups. If you have any questions, please feel free to ask us. You can find all steps with the pictures below. 4-) Tap on “Chat Search” button on Contact Info page. 5-) A search bar will appear at the tap of the conversation. Type the keyword that you are looking for on the search bar. 6-) There can be more than one result for your keyword. Use arrow buttons to see other results on the conversation. Please see the picture below. 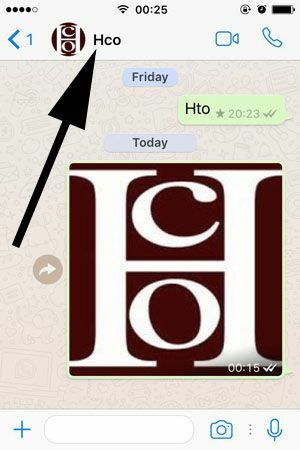 That’s all you have to do for searching a content on a WhatsApp discussion. Tips we have given above is for only iPhone devices. We are going to mention about Android devices too. Keep watching us!